Get a $40 voucher for $20! 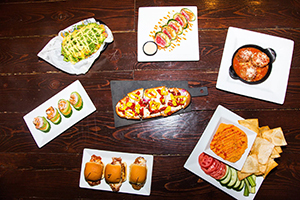 Open seven days a week, Ladder 133 truly redefines the sports bar genre by boasting various forms of entertainment intended to satisfy a wide array of tastes. Whether you enjoy indulging in our full menu of comfort foods with family and friends, cheering on your favorite sports team on one of our state-of-the-art, high-def, plasma wide-screen televisions, viewing the local or world news, catching up on the day’s events by picking up one of our collection of newspapers and magazines, or engaging in fun and exciting live entertainment you thought you had to venture in to the city to capture, there is something here for everyone! 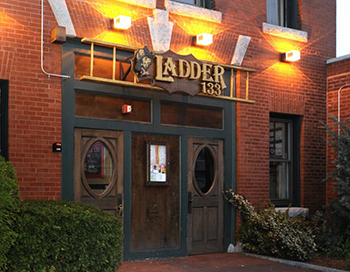 Ladder 133 Bar and Grill is a sports bar like no other. With 4,000 square feet of expansive interior design, this unique and newly-refurbished bar stretches the boundaries of the typical sports bar experience.